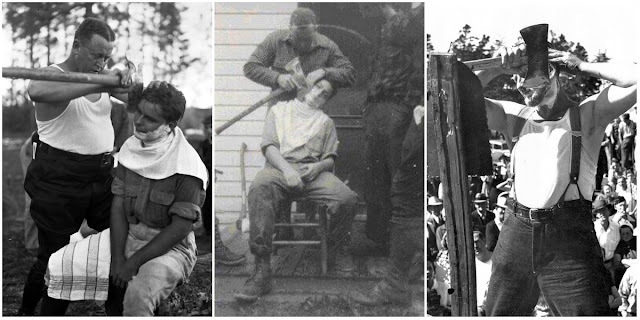 Believe it or not, there is photographic evidence of men, some who were lumberjacks or loggers, who shaved their own faces, and the faces of others, with an ax. Real men shave with axes. There were a couple of notable manly men who were known for performing the feat in front of crowds such as Paul Criss whose moniker was the “spectacular axe-man” and Oregon lumberjack Leonard Wallulis. 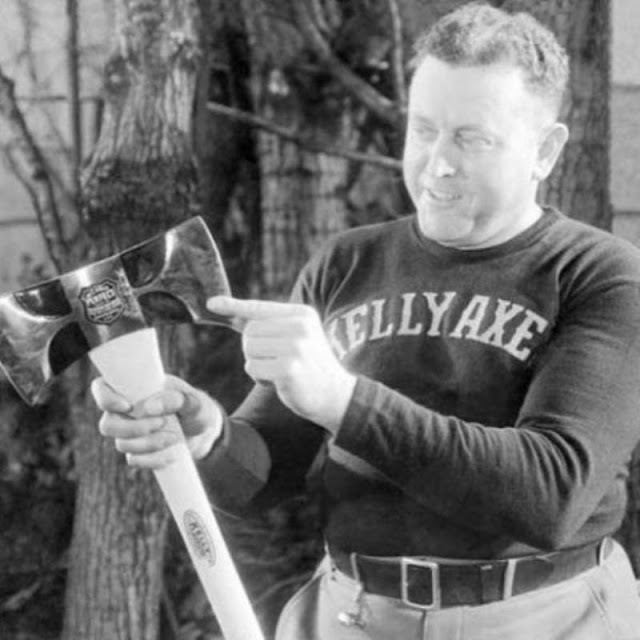 Criss was also a popular pitchman for the Kelly Axe Company. 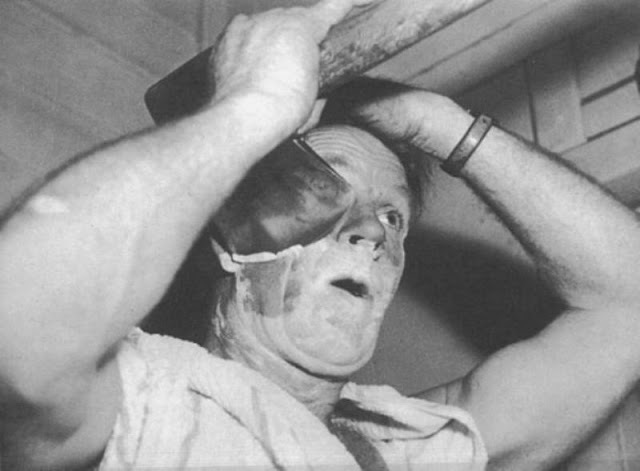 One of the axes in the company’s product line was called the “Perfect Axe” and it would be this weapon of choice that Criss would use to demonstrate the tool’s ability to be used to shave a man’s face. 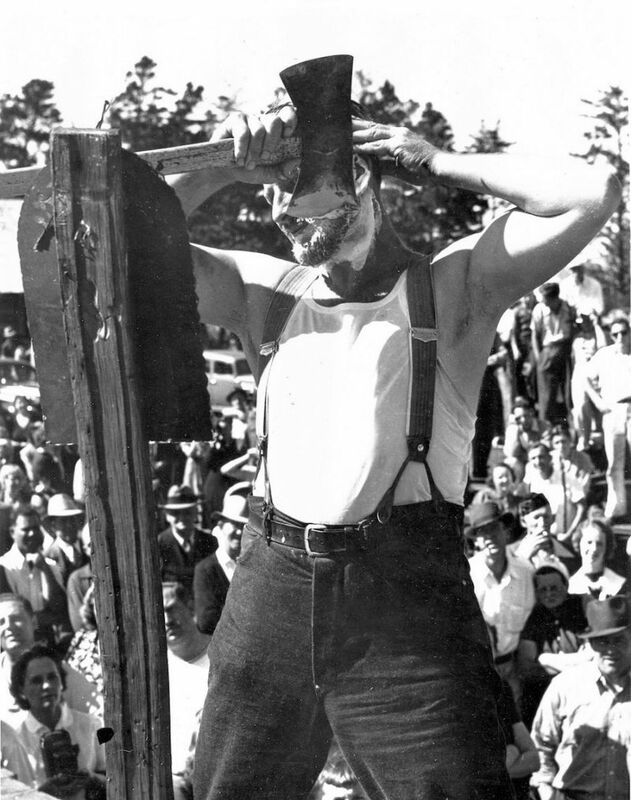 Wallulis, on the other hand, was noted to have entered a Ripley’s Believe It or Not contest in Portland, Oregon in 1936 where he shaved with a double-bitted ax—a daring trick that got him to the finals. It’s certainly a theatrical way to perform your gender – though we can probably think of safer ways to do it. Paul Criss the “spectacular axe-man” giving an ax shaving demonstration with a “Perfect Axe” made by Kelly Axe Manufacturing Company. Leonard Wallulis shaving with an ax. 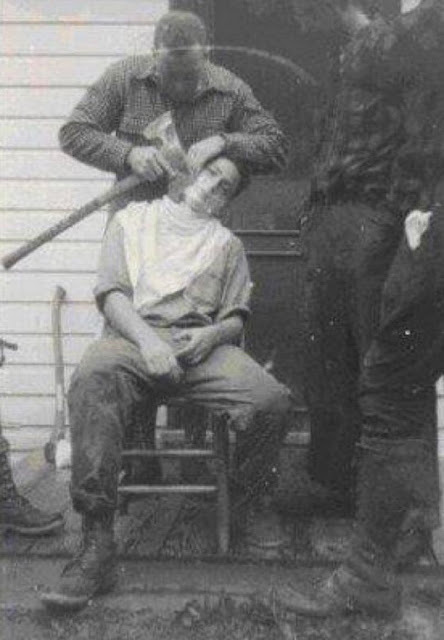 Another shot of Paul Criss giving someone a shave in the wild. Lumberjacks shaving with an axe, 1930s. 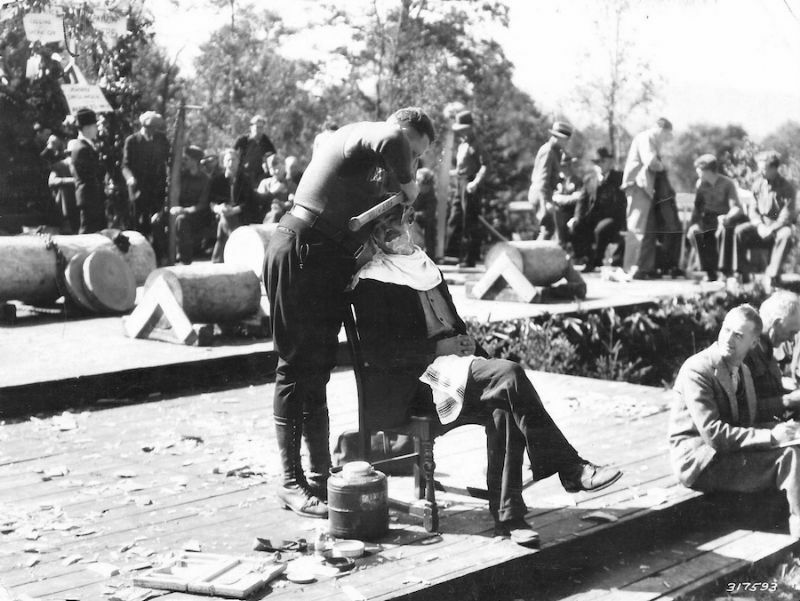 Paul Criss attending The American Forestry Association gathering in October 1934 using a Kelly “Perfect Axe” to shave a man. 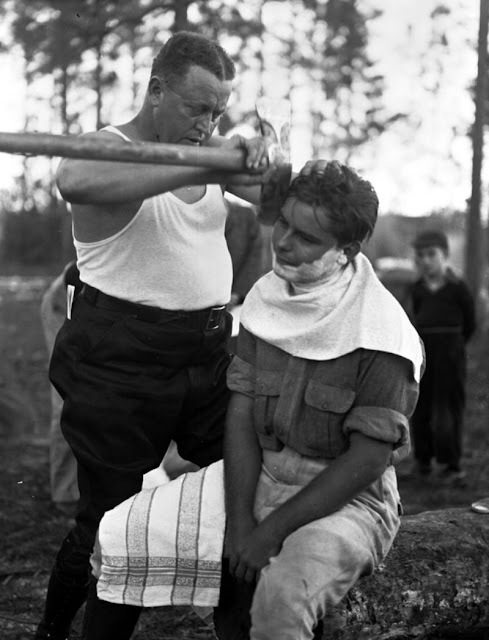 Civilian Conservation Corps ax shaving demonstration, 1933. 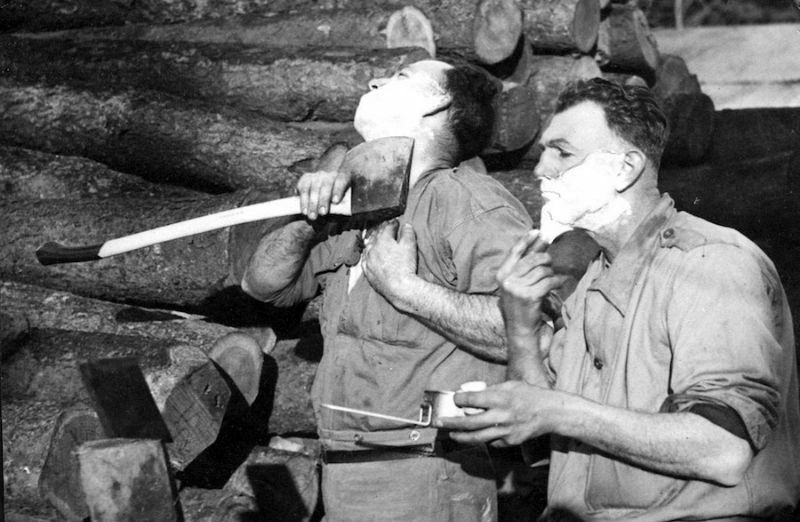 Burly Aussie lumberjacks shave with axes during World War II, 1941.